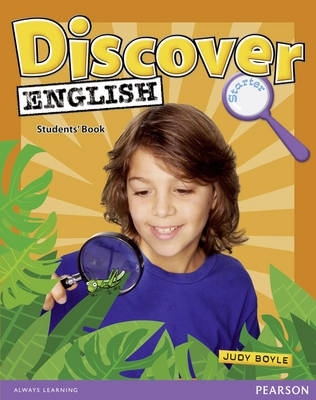 Discover English provides a solid grammar and lexical syllabus with the perfect mix of variety and challenge to motivate young learners. Your students' learning journey begins here. Travel through time with Jo-Jo, Oscar and Mr Big. Explore foreign countries and learn about different cultures. Design computer games, break codes and learn about themselves. All this and more as their English improves Discover English...Discover the world!